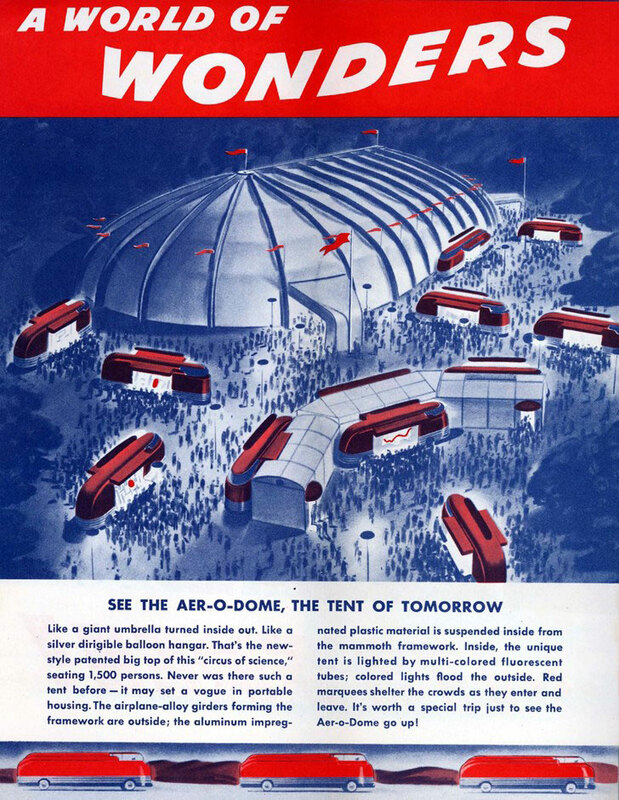 The Futurliner is an impressive behemoth of a vehicle, a symbol of the American automotive industry. 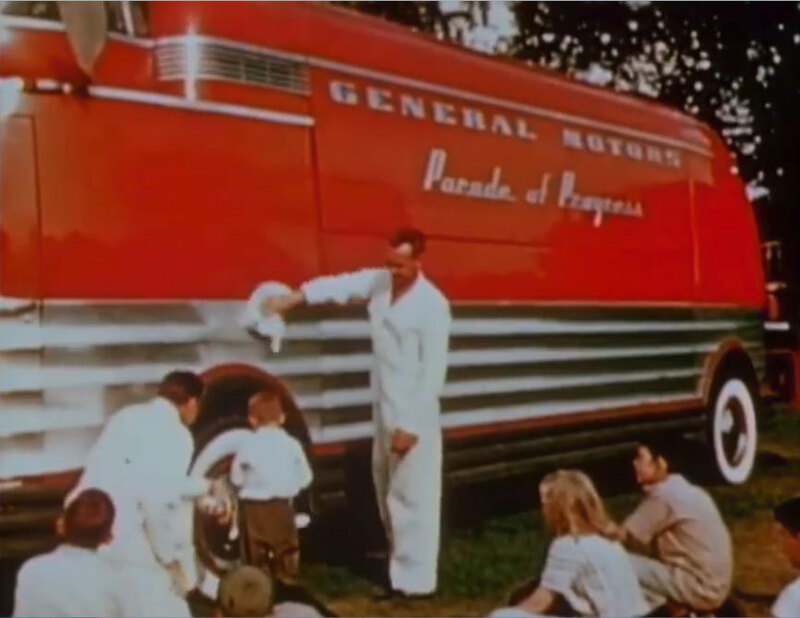 The Futurliner vehicle was part of General Motors “Parade of Progress” program that gave the nation an exciting first-hand glimpse into the automotive industry’s past, present and future. 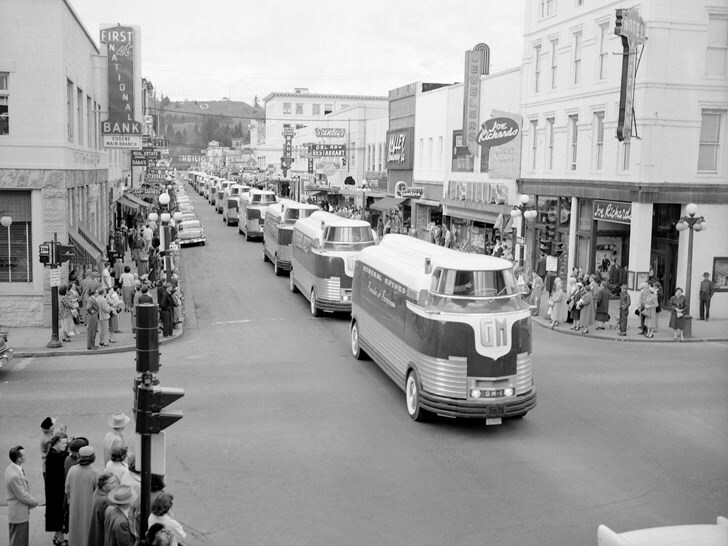 A caravan of 12 large dual-front wheeled display vehicles traveled the country from 1936 through 1956 showcasing emerging technologies of the future. The whole idea of the Parade of Progress came from Charles Kettering, the GM Research Director, who wanted to bring research and industry to the country. The parade was staged by a group of 57 men, most of them fresh out of college and single. 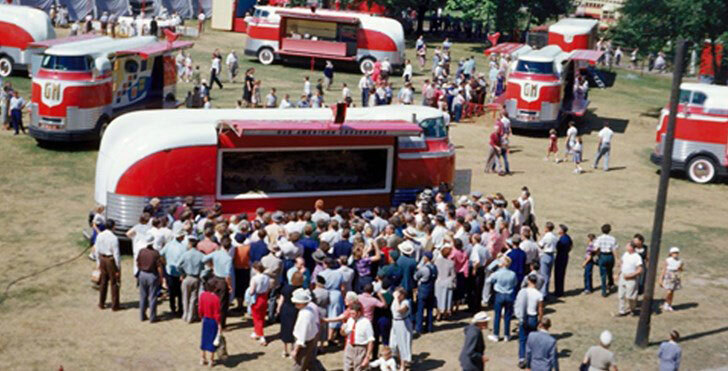 They drove the Futurliners, met with the public, lectured at exhibits and ran the stage show. Even though the vehicles seemed huge (standing at 11 feet tall and 33 feet long), they could only fit three people including the driver. 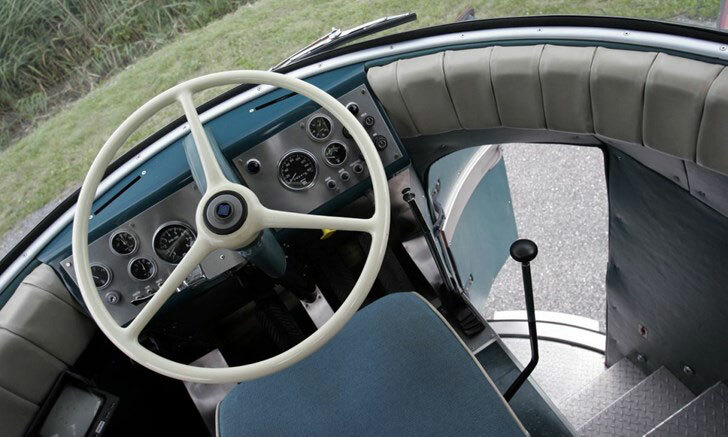 The sides of the vehicle had two electrically-operated 4.9-by 1.5- meter doors that opened up to reveal a display inside. 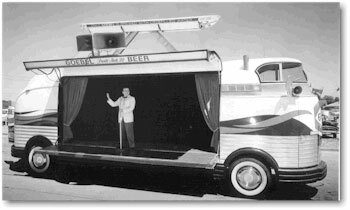 When the doors were folded up, a 4.9 meter long light bar comprised of 36 fluorescent tubes was raised from the roof and powered by a portable generator. Each vehicle was also equipped with a powerful PA system. 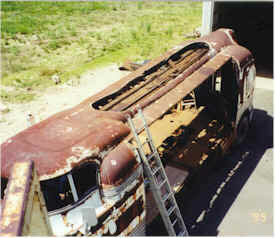 The Futurliner #10 on display at the National Automotive and Truck Museum was built in 1953, and when GM discontinued the Parage of Progress in 1956, it was purchased by the Goebel Brewing Company, headquartered in Detroit. The vehicle was renamed the “Goebel Land Cruiser,” and it toured around Michigan with displays explaining the manufacturing process of brewing. 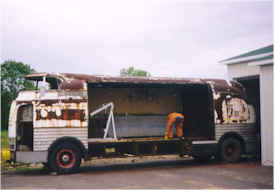 Fast forward to 1999 and a group of volunteers up in Michigan began restoring the rusty Futurliner, and in 2006, the Futurliner #10 was restored to its original state. 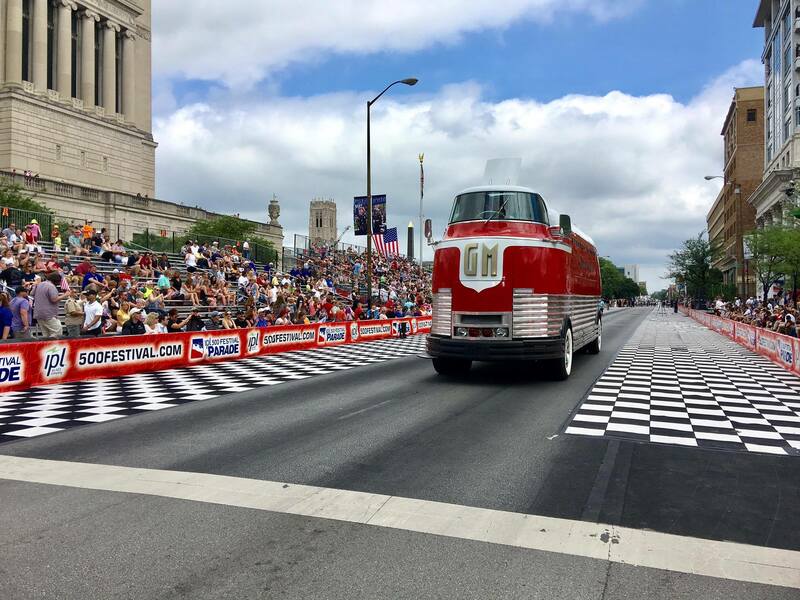 The Futurliner #10 still does yearly tours, and in 2017, it participated in the Indy 500 Parade in Indianapolis. 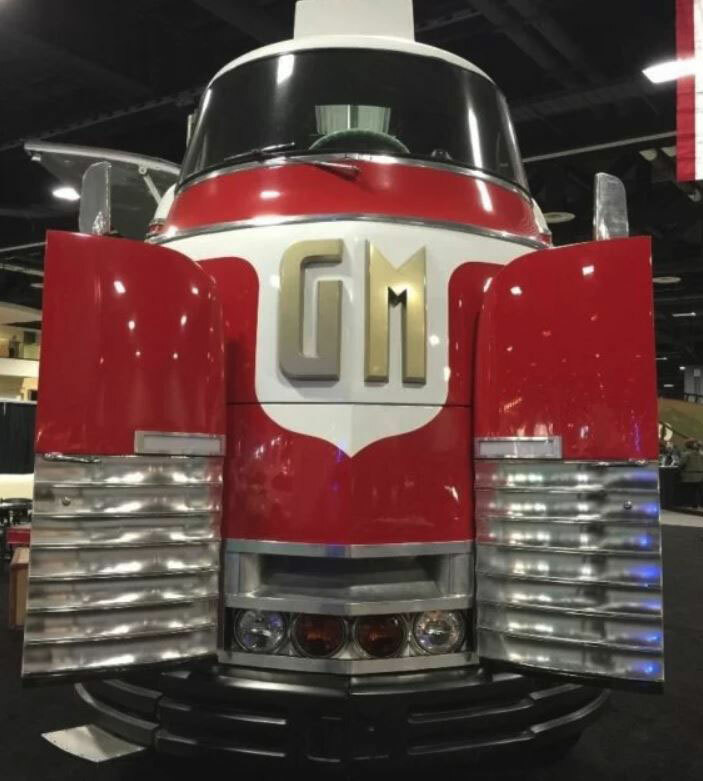 The most well-known Futurliner was sold in 2006, for $4,000,000 which is a hefty price tag. Even though it’s a costly vehicle, it is considered a priceless piece of American automotive history. 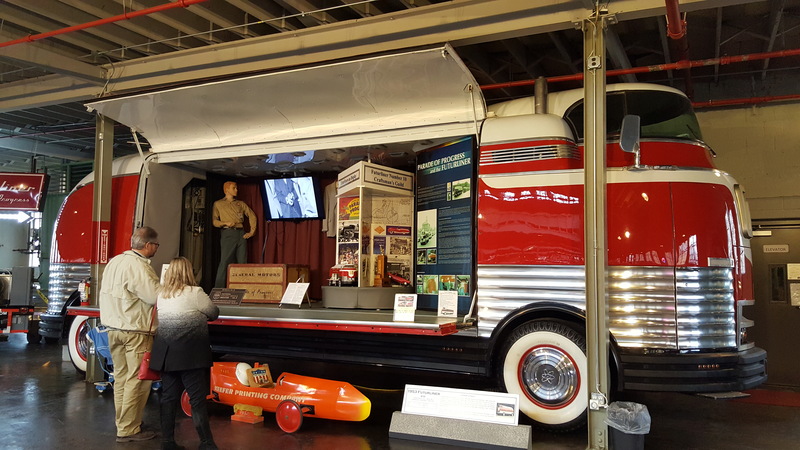 To see the Futurliner #10 at the National Automotive and Truck Museum in Auburn, Indiana, visit our website and plan your trip!